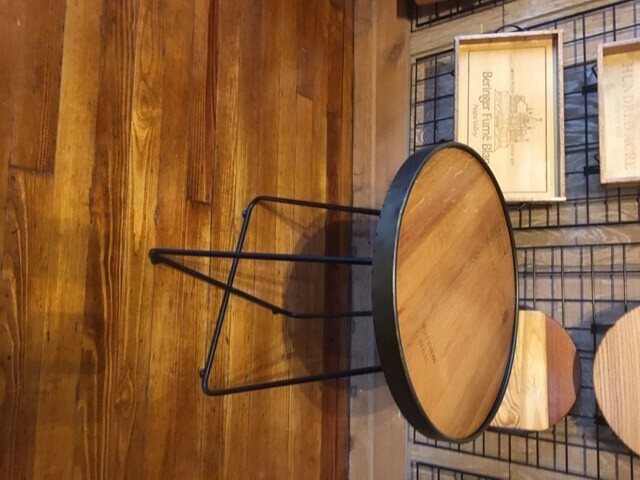 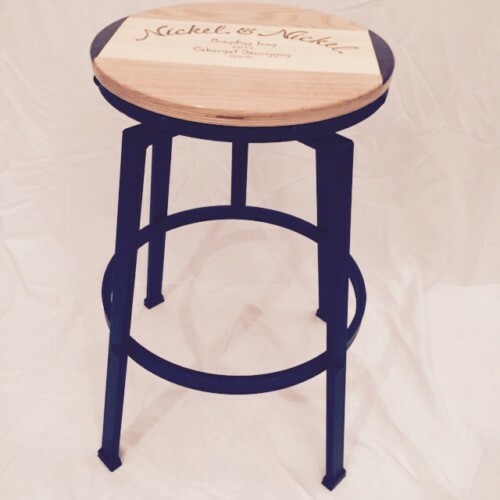 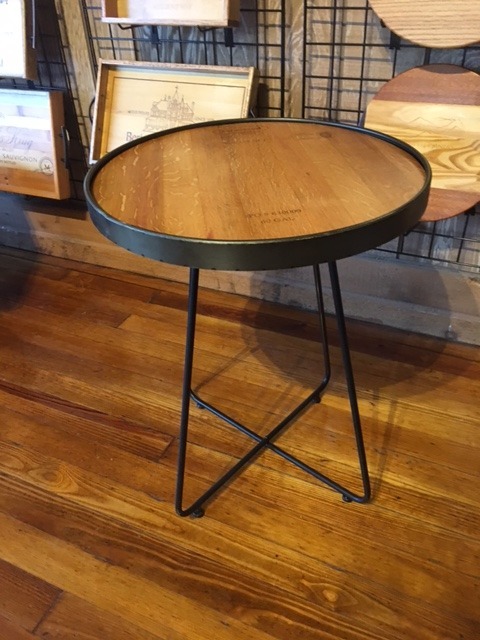 This accent table has a metal band around the authentic wine barrel top. 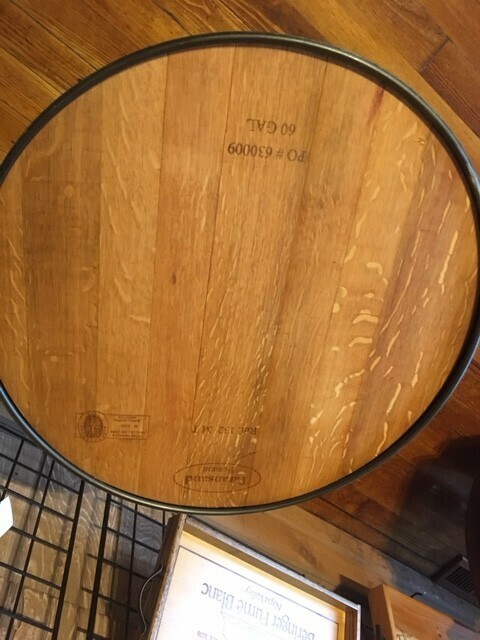 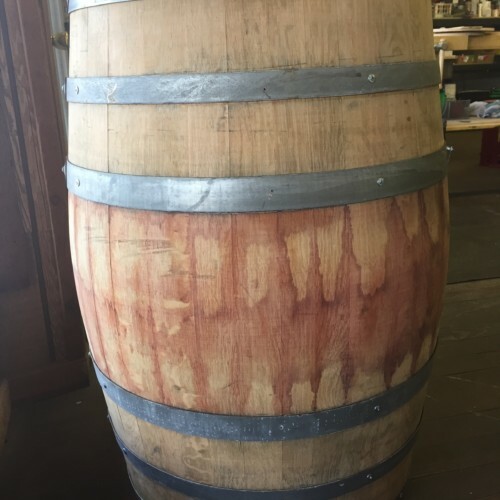 This barrel has been repurposed from an actual Napa Valley wine barrel. 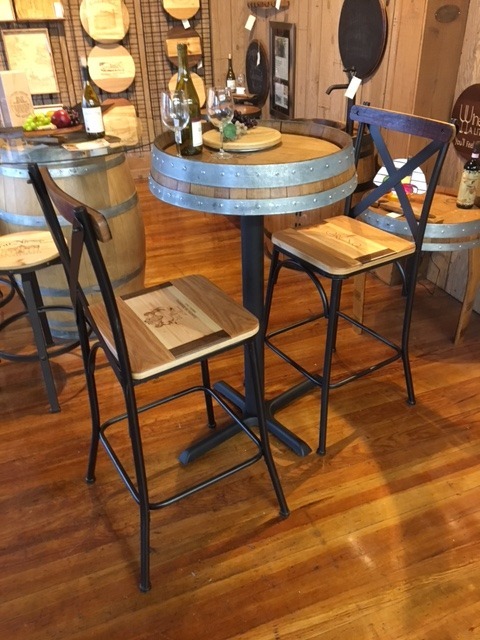 The top has a furniture grade satin finish for many years of enjoyment. 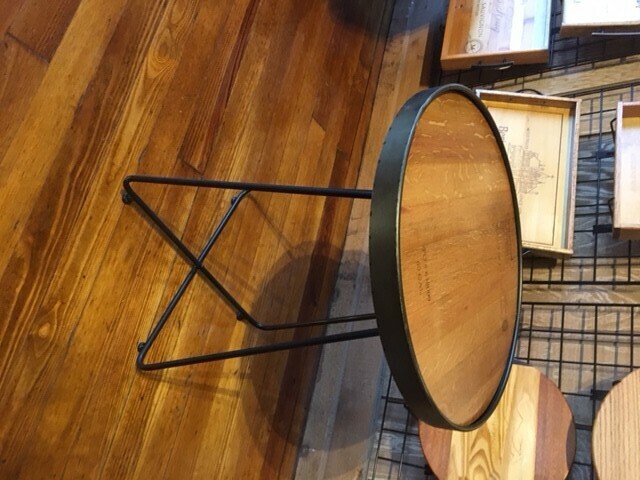 The black metal legs give the table a retro industrial look. 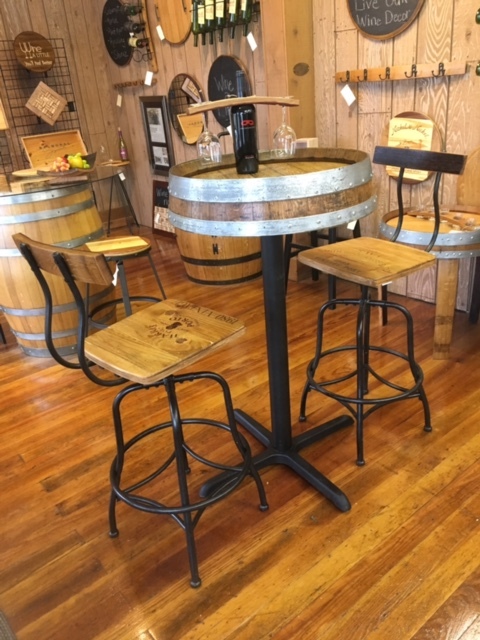 A perfect piece for your tasting room. 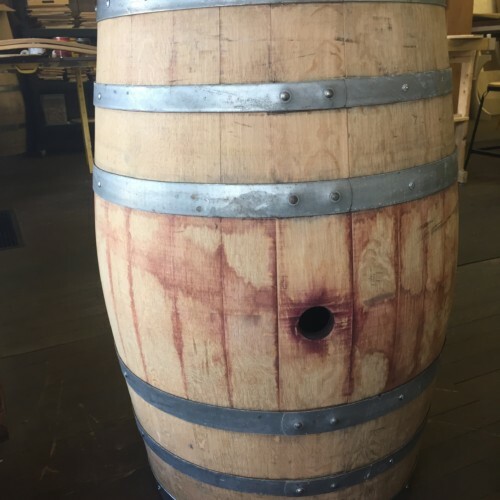 We like to call it a practical piece of art.